Move, groove, and make some noise this spring! Explore the different worlds of music through singing, dancing, instruments, art, and sound engineering. 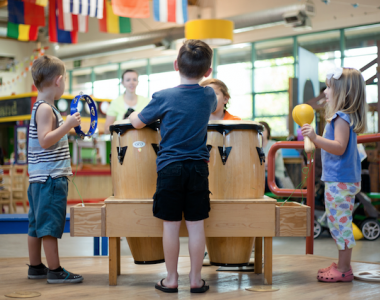 *1/2 Day campers may stay until 1:00 pm for lunch and additional Museum play. Campers must be pre-registered with Camp Director to participate.